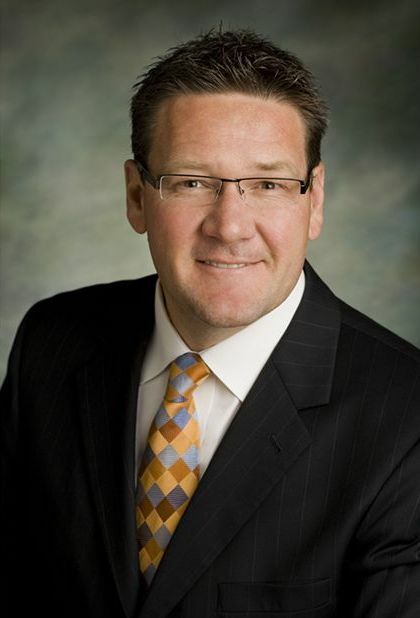 Boise, ID – Garrett Lofto has been promoted to President and CEO of the J.R. Simplot Company after spending nine years leading the Company’s AgriBusiness group. Lofto has spent 26 years working for Simplot, he succeeds Bill Whitacre who announced his retirement in April after nine years at the helm. Lofto is the seventh President and CEO since company founder Jack Simplot retired in 1973. He was raised on a farm in southern Manitoba, Canada and has lived in Idaho since 2001. Lofto attended the University of Manitoba graduating with a Bachelor of Science Degree in Agriculture. He received his MBA in 2005. As President of AgriBusiness, Lofto has guided a diverse and complex $2.5 billion operating division spanning a global marketplace. He successfully initiated and oversaw several major capital expansions that have positioned the Company for long-term success and prosperity. Major accomplishments include the building and launch of the ammonia plant in Rock Springs and continued growth and expansion of both the Simplot Grower Solutions and Simplot Partners retail arms. As President and CEO, Lofto plans to continue moving to the Company’s One Simplot strategic focus that will enhance efficiencies and agility across all of the business lines. Lofto sits on the Board of Directors of the Ronald McDonald House Charities of Idaho, The Fertilizer Institute, Nutrients for Life Foundation and the International Plant Nutrition Institute. He and his wife, Carol, reside in Eagle, Idaho and have three boys. They enjoy numerous sporting activities and the outdoors. Lofto will assume his role as President and CEO as soon as transitions can be completed. A thorough search will commence soon to fill the AgriBusiness leadership role.